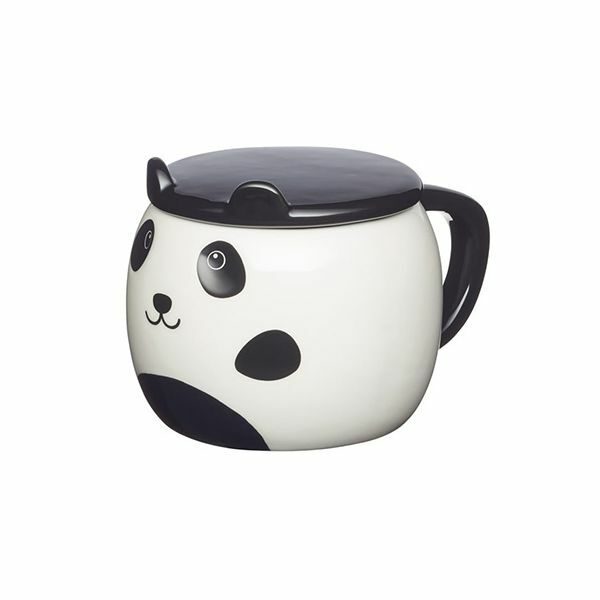 This KitchenCraft novelty panda mug is made from ceramic and is black and white featuring a cute panda face with a black lid for keeping your drinks warm finished off with tiny black ears. 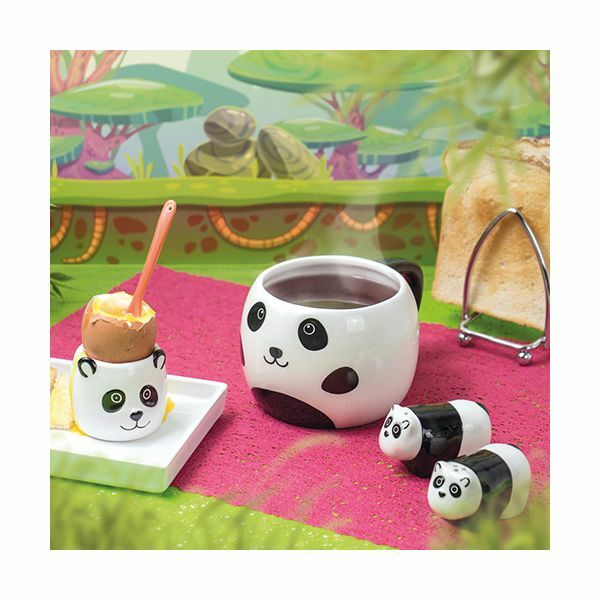 Ideal for serving morning tea or coffee, this delightful panda mug also features a large handle for easy use. This novelty panda mug is great for giving as a gift to friends and family, especially lovers of cuddly pandas. The novelty panda mug has a capacity of 550ml.